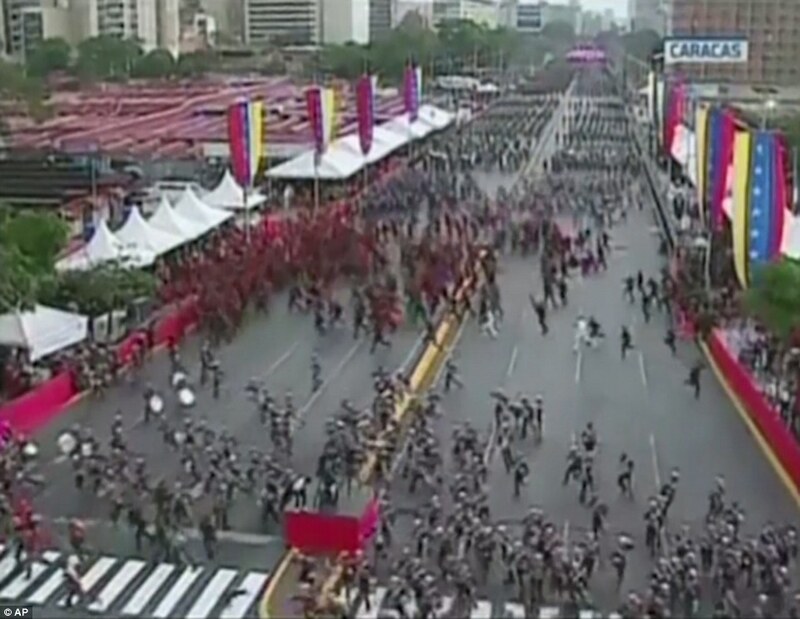 Footage then showed hundreds of soldiers who were assembled in neat formation on a wide road scatter in all directions amid the sound of screaming. Microphones could be heard being dropped at the state channel that was filming the event, which quickly froze. 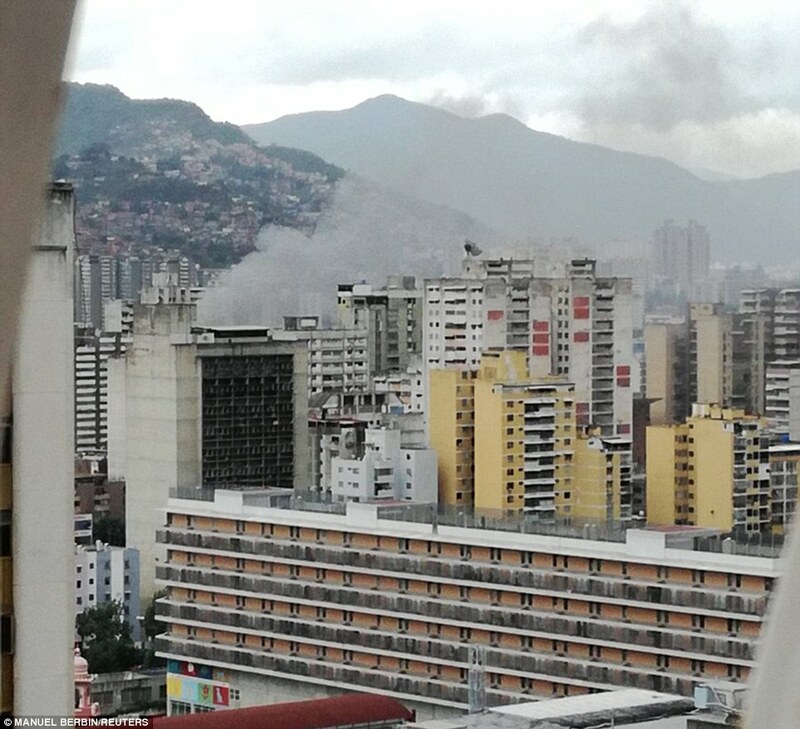 'To the conscious Venezuela, we are going to bet for the good of our country, the hour of the economic recovery has come and we need...' Mr Maduro was saying before he suddenly stopped talking after hearing an explosion. He specifically named Florida - a city with a large Venezuelan expat population - as the source of the plotters. Some of the 'material authors' of the attack have been detained, he said, without giving any more details. 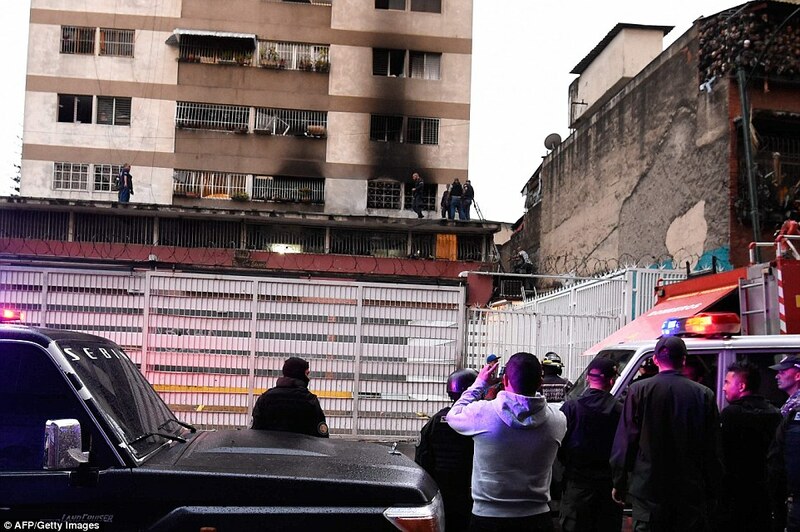 Colombia denied any involvement, while a senior Colombian official speaking on condition of anonymity said Maduro's accusation was 'baseless'. 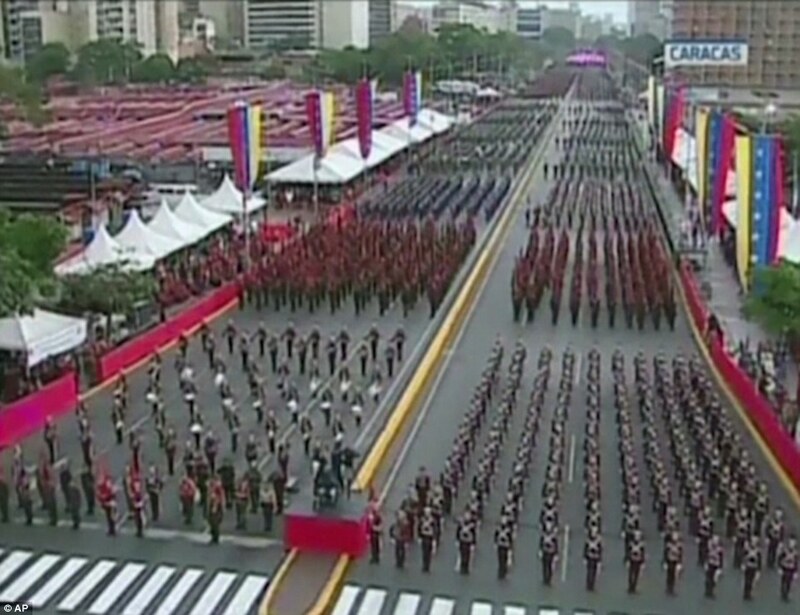 Tensions are high between both countries over Colombia's decision to welcome thousands of Venezuelan refugees. 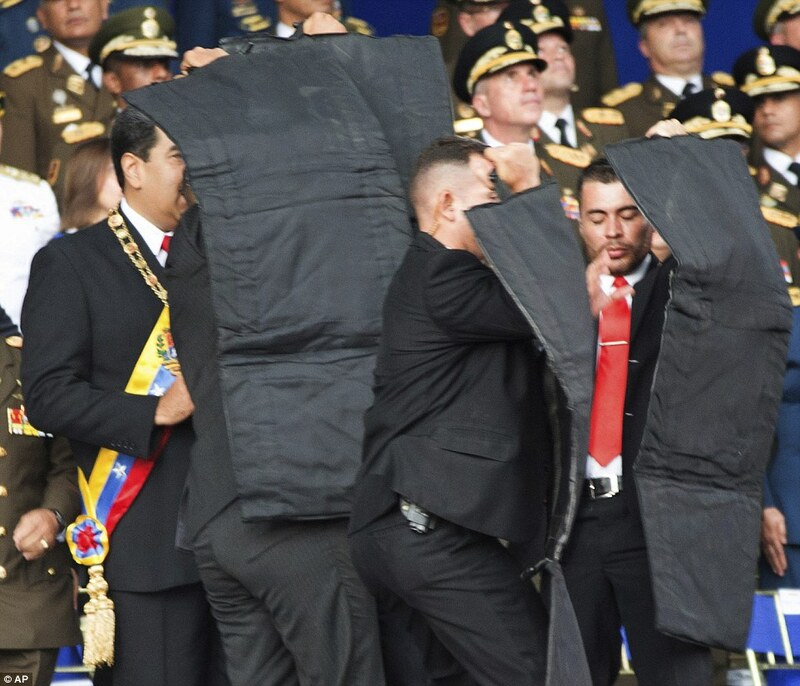 Adding to the confusion, a little known group calling itself Soldiers in T-shirts claimed responsibility, saying it planned to fly two drones loaded with explosives at the president, but government soldiers shot them down before reaching its target. Its members described themselves as 'dissident soldiers'. 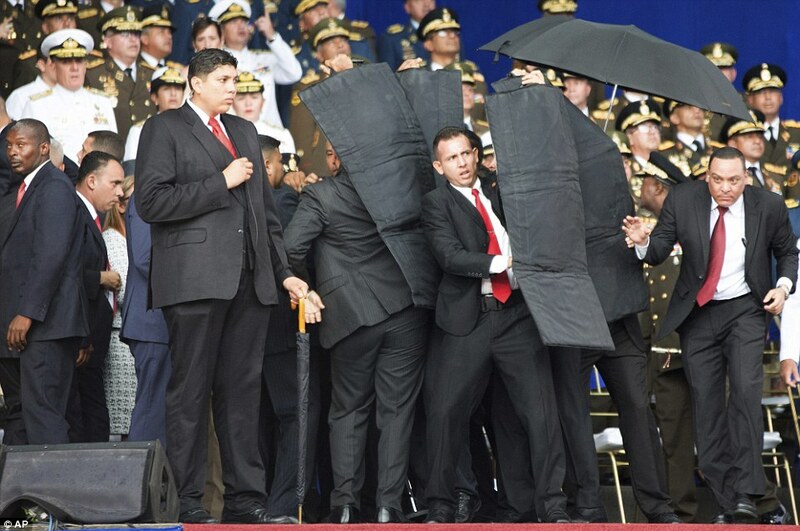 The 'amateurish' attack prompted embarrassing images of Maduro cut off mid-sentence with droves of soldiers running away in fear, making the president appear vulnerable, Smilde noted. 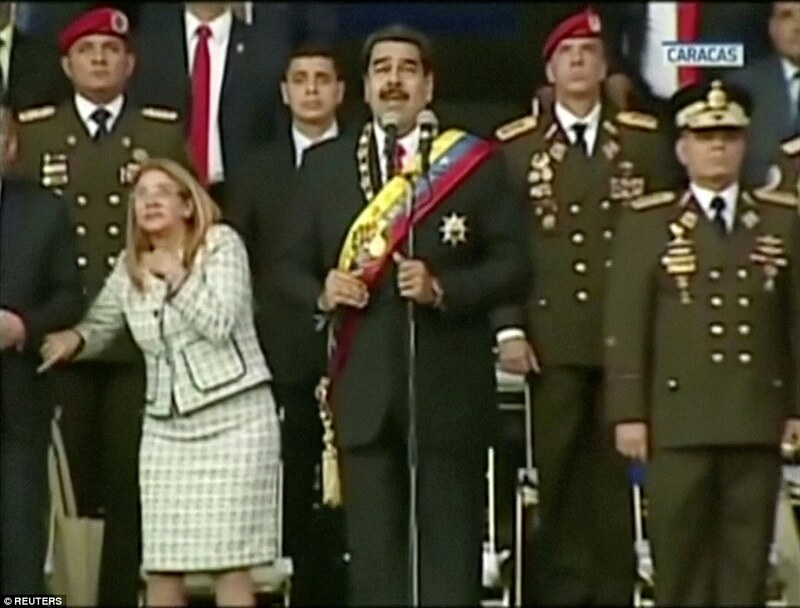 Despite the optics, Smilde said he suspected that Maduro would nonetheless find a way to take advantage of it. 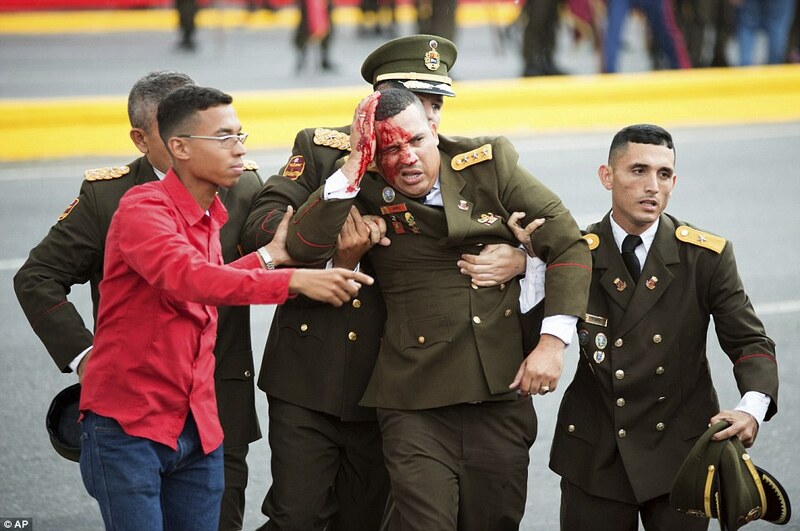 sorry maduro; uncle samuel IS those terrorists.